I’m OK — How’s Bayeux? If you’ve ever been to a tradeshow, you know that companies pass out bits of swag — yo-yos, drink holders, and other items with the company logo emblazoned thereupon. Promotional material and such. But some pieces are cooler than others. A few years ago, the publisher E.P. Dutton gave away tote bags for an event. Not unusual in itself, but these sported an illustration by Ernest Shepard, who did the original artwork for Milne’s Pooh books. And what an illustration. 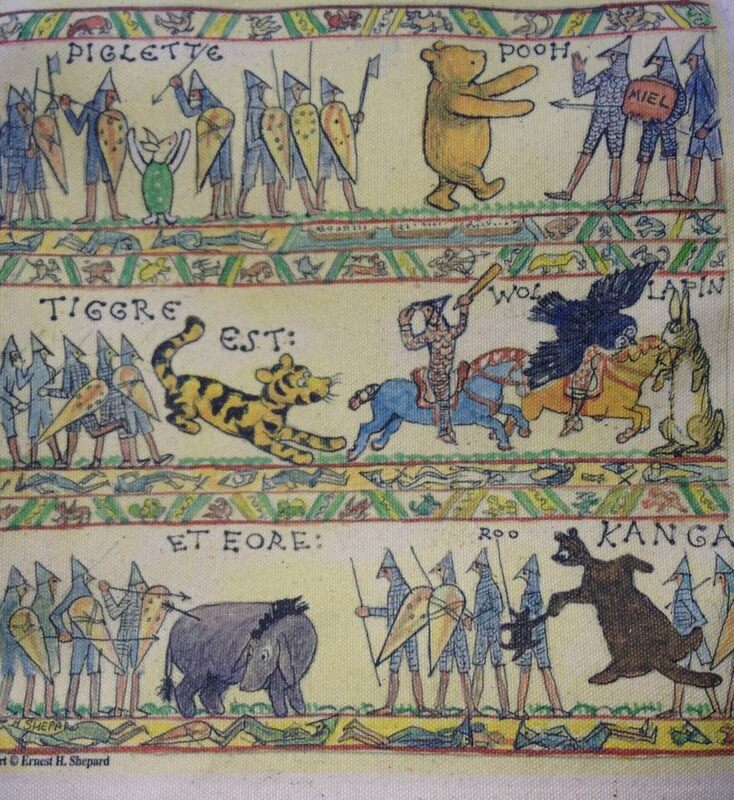 Shepard imitates the Bayeux tapestry, with the Pooh characters resisting the Norman invaders. A tip of the Mondo Mortarboard to Rachel Schreck, via Facebook. This entry was posted in Culture, Literature, Medievalia. Bookmark the permalink. 5 Responses to I’m OK — How’s Bayeux? anyone who HAS THESE should now please PUT THEM UP FOR SALE ON EBAY THANKS!